This week marks the five-year anniversary of the fall of Lehman Brothers and the zenith of the global financial crisis. Lehman’s is the biggest liquidation in US history. And it is has been paying out to its creditors, who lost money when it crashed at 2am on September 15, 2008, in New York. In stark contrast, however, the local councils, charities and churches left in the lurch by Lehman Australia’s toxic credit instruments are still yet to see one red cent. This is despite five years of courtroom battles and $80 million in fees to lawyers and liquidators. The US v Australia tally: $US43,000,000,000 to $A0.00. If it was the bankers who cleaned up before the crisis, it is surely liquidators and assorted hangers-on who are making the killing in their wake. PPB, the firm of liquidators appointed by Lehman Australia to conduct this insolvency “job”, has just issued its latest “scheme of arrangement” documents. PPB fought these councils, charities and churches all the way to the High Court in a bid to avoid liquidation, a faster and better option, and instate a complicated “deed of company arrangement”. It refused to recognise the claims of councils, charities and churches (and other recipients of collateralised debt obligations) in the Lehman estate. There was no such issue in recognising the claims of the related-party creditors. And even though the liquidators lost to the councils, charities and churches in the courts, and subsequently back-flipped on their plans for a DOCA, they are yet to adjudicate those “proofs of debt” or dole out a single dollar to anybody but themselves, their lawyers Ashurst and Clayton Utz and other fee-hunters. These latest scheme documents – the third attempt at an arrangement – which go to a vote on October 17, merely provide for settlement of Lehman Australia’s claims against its insurers and a consequent legal release for those insurers. They are still not “adjudicating on proofs of debt” (something PPB has still not done after five years, and which would lead to a significant distribution to creditors). To provide readers with some notion of what a circus this insolvency game has become in Australia, consider this: PPB did not inherit a troubled construction company here. It did not inherit a “real” business with staff and building projects to run. Essentially, it inherited a cash estate. The Lehman bankers quickly drifted away when it all came unstuck in September 2008 and the liquidator was left sitting on a pile of cash: $18 million in CDOs, $17 million in foreign bonds and $120 million in Australian bonds and two insurance claims. How hard could it be to realise those assets and return some money to beleaguered creditors? In the US, where the Lehman estate has already paid out $US2 billion in fees to lawyers and so forth – eclipsing the previous record of Enron Corp’s bankruptcy at $US757 million – Lehman creditors are expecting to see a return of 18¢ in the dollar by 2016. That is from an estate valued at $US65 billion. 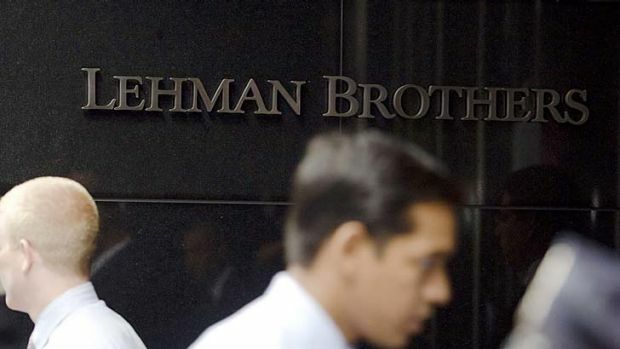 Lehman listed $US613 billion in liabilities when it went under on September 15, 2008 – after the US government opted not to bail it out and it failed to find a buyer. When it pays a scheduled $US14 billion to creditors on October 3, total distributions will amount to $US43 billion since Lehman Inc’s Chapter 11 bankruptcy plan was approved. Meanwhile, Down Under, the scheme documents show cash of $163 million, related party debtors of about $85 million and about $10 million in remaining stock. Trade creditors are claiming about $8 million, Lehman’s related party creditors are claiming $120 million. Then there are the scheme creditors (all the other “riff-raff” of councils, charities and churches etc who were sold the toxic products by Lehman ) with $494.6 million to $441.2 million. Documents also show $46 million-odd in recoveries from Lehman’s US insurers and from QBE. The recovery was achieved via a mediation. PPB didn’t even have to sue for that – despite its tens of millions in lawyers’ fees. The only other recovery of significance apart from that was some money from the Dante notes litigation. But that was primarily a result of another law firm, JWS, which acted on behalf of creditors. JWS won that litigation, which led to the subsequent settlement. This liquidation has been such an atrocity there ought to be an investigation into it. The liquidators are not (after five years) in a position to proffer any estimate of the likely timing when distributions will be made under the scheme, other than to say that it could be as early as 2014 or as late as 2016. The liquidators estimate further total fees and expenses to finalise the estate if this scheme is approved of $10 million to $13 million.